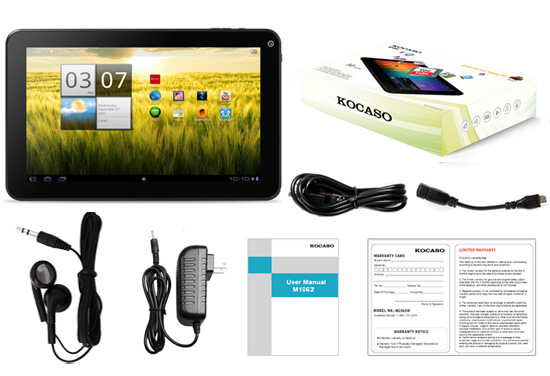 RockChip 2928, Cortex-A9@1.2GHz, 1GB DDR3 RAM; Built-in 8GB Nand Flash, Plus TF card slot (Up to 32GB), 10.1" High resulotion TFT screen ,1024 x 600 pixels; 16:9; Dual camera Front Facing0.3MP and Rear Facing 2.0MP; Built-in Microphone, Runtime 4-5 hours , Built-in speakers, High Capacity Battery 5500mAh@3.7V , 4 way G-Sensor , WiFi IEEE 802.11 b/g/n, Support external 3G module dongle;HDMI (1080P supported), and More!! 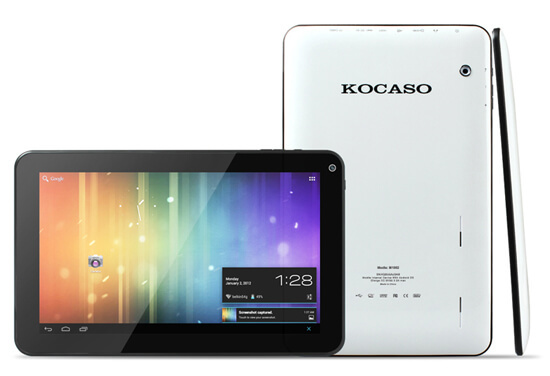 A 1.2GHz Cortex-A9 processor, Android 4.1 OS, TF card slot (Up to 32GB), Capacitive multi-touch screen and more, from Kocaso's best tablet yet. Fast processor opens up programs and webpages seamlessly. RF card slot gives you the freedom to add even more storage or transfer music and pictures. Android's 4.1 allows for easy multitasking and customizable home-screens. Focused on bringing the power of Android to the surface, Android 4.1 makes common actions more visible and lets users navigate with simple, intuitive gestures. Refined animations and feedback throughout the system make interactions engaging and interesting. Multitasking is a key strength of Android4.1 Jelly Bean. Virtual buttons in the System Bar let you navigate instantly to Back, Home, and Recent Apps. The System Bar and virtual buttons are present across all apps, but can be dimmed by applications for full-screen viewing. You can access each application's contextual options in the Action Bar, displayed at the top of the screen. 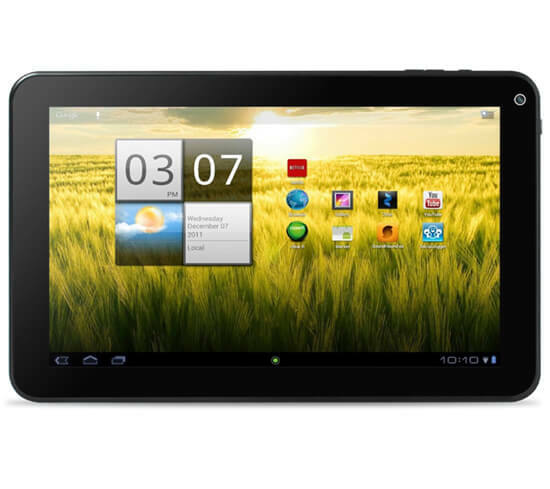 M1063 features 8GB memory. But if you need more that is no problem we don't want anything to limit or interrupt your enjoyment of the M1063 10.1. That's why we included a built-in TF card slot(up to 32GB)which means you can keep your HD movies, photos, music, documents and almost anything else nearby and ready to go. You can have thousands of movies and TV shows to carry with you. Personalize and cutomize your touchscreen and choose from over 450,000 apps and access your favorite content, movies and TV shows. 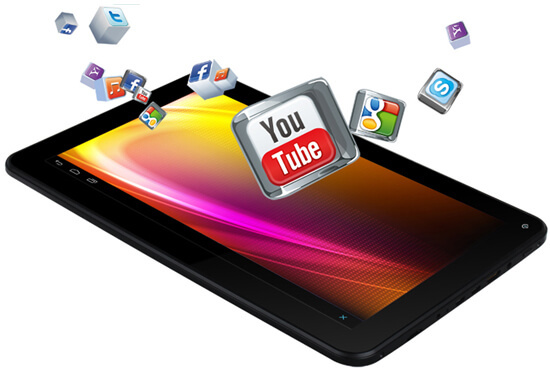 With Adobe Flash player you have access to more videos, websites and games. Instantly enjoy the latest movies or TV shows. 11.5" x 7.5" x 2.4"